Use your mobile phone to identify music you hear on the radio, look up lyrics, download songs, read artist biographies, and so much more! 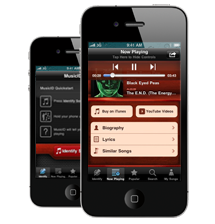 Experience MusicID with all features of the iPhone and iPod Touch. 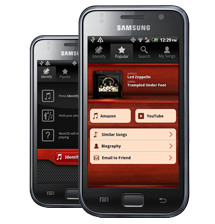 Check out the new MusicID experience on next-generation Android devices. 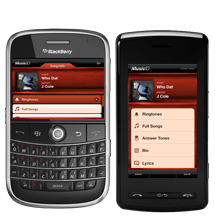 MusicID is available on over 60 handsets on the AT&T network. Visit musicid2.com on your phone to learn more. 1. 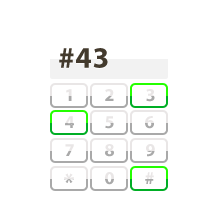 Dial #43 on your mobile phone. 2. Hold your phone up to music. 3. We'll text you if we got a match! 99 cents per successful ID. Try as many times as you like and only be charged once for the match. 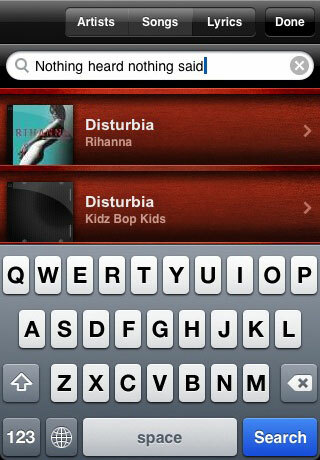 Hold your phone up to some music and MusicID will tell you what song is playing! Using a sophisticated music fingerprinting algorithm, MusicID can identify over 28 million songs with new songs added daily! Find your favorite songs by searching MusicID’s comprehensive music database powered by Gracenote. Search for songs by artist name, song title, or lyric phrase! MusicID automatically finds related content to songs it discovers. 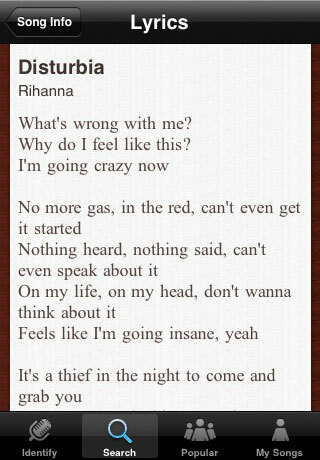 View song lyrics*, artist bios, similar songs, downloads, and more! *Lyrics are only available in the US. Probably the best yarn based stop motion animation advertisment you'll see today. Check out the "making of" video!